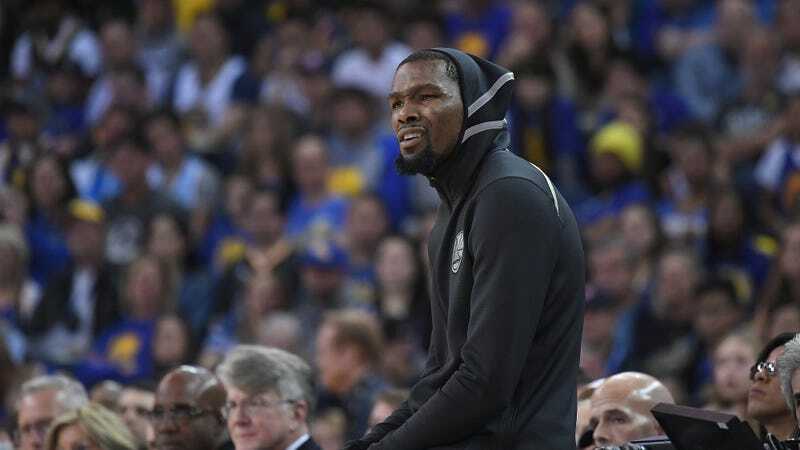 Striving, as ever, to be living on that LeBron James level—regardless of what anybody else thinks about their relative merits—NBA star Kevin Durant has announced that he, too, will now have his own autobiographical TV series. Following in the footsteps of James’ Survivor’s Remorse—which lasted for four seasons on Starz—Durant has sold a show to Apple, based on his life and early career. Titled Swagger, the show will follow the life of the current Golden State Warrior back when he was a young man playing for the Amateur Athletic Union. The series is being produced by Brian Glazer and Ron Howard’s Imagine Television, and will be written by Shots Fired creator Reggie Rock Bythewood. Apple is slowly building up a healthy little library of TV projects for itself; the company also recently acquired dramas from Jennifer Aniston and Reese Witherspoon and Damien Chazelle.